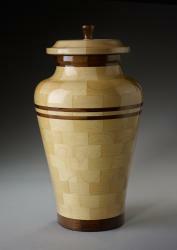 Part of the Endless Love Line, the Harmony urn is a handcrafted urn that artistically combines Yellowheart and Black Walnut wood segments. 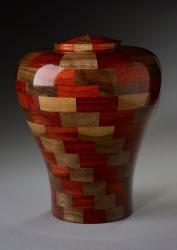 Steve fits pieces of the yellow and brown woods together, and then hand turns the pieces till smooth. 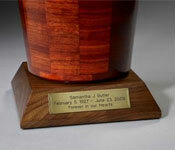 Then the urn is finished with a urethane glaze to both protect the urn and give it a beautiful shine. The end result will be a wonderful celebration of life for a loved one. 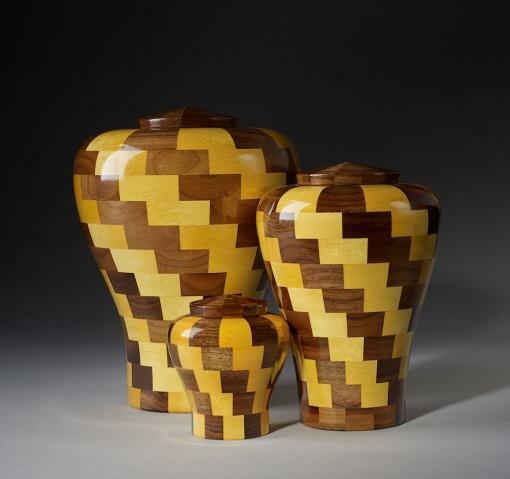 Sizes for the Harmony range from keepsake urn to a large size for adults.